​David Swenson began his journey of Yoga in 1969 when he and his brother Doug practiced in a small park at the end of their street in Houston, Texas. There were few sources for yoga at that time so they practiced from whatever books they could find. Today David is recognized as one of the world's foremost practitioners and instructors of Ashtanga Yoga. He tirelessly travels year round to teach and offer workshops. His courses are presented in a supportive and compassionate fashion making it accessible to all levels of practitioner to participate. 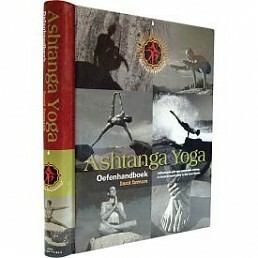 ​David is also the author of Ashtanga Yoga: The Practice Manual. It's one of the most beloved and widely known books about the Ashtanga practice, partly because it reflects David's down-to-earth and approachable perspective on the practice. It's available on Amazon. Few spots now open for Sunday sessions! SUNDAY SESSIONS: SIGN UP NOW! ASHTANGA YOGA: AN INTRODUCTION: 6–8 p.m.
ALL ABOARD THE ASHTANGA TRAIN: 9–11 a.m. FLYING FLOATING AND HANDSTANDING: 1:00–3:30 p.m.
laughter and fun as well as a depth of information in this class. All levels may attend even if you have never done a handstand before. Alternatives are always given. BREATH, BANDHAS AND PRANAYAMA: 4–5:30 p.m. In Sanskrit, Man means Mind and Tra means to Free or Deliver. Therefore the word Mantra means to Free the Mind. There are many mantras in yoga such as Om, Hare Krishna, Om Namo Shivaya and a plethora of others. In Ashtanga Yoga the mantra is the sound of our breath: Ujjayi. There is no other sound more universal than breath. It is not tied to language or culture and is “chanted” from the first moment of birth. This class will focus on the mantra of ujjayi within asana practice as well as during pranayama. In addition to breath work the class will also explore the invisible world of Bandhas. We well attempt to gain greater understanding of these subtle yet powerful tools through interactive discussion as well as a series of practical exercises. NADI SHODANA — A GUIDED TOUR: 9-11 a.m.
Students should have a regular practice of the First Series in order to attend this class. There will be an introductory discussion of the dynamics inherent to the Second Series. David will then lead the class through a portion of First Series acting as a springboard into as much of the Second Series as seems appropriate. There will be a variety of options given for each posture in order to allow multiple approaches. INVERSIONS, BACKBENDS AND SITTING WITH YOUR BREATH: 1:00–3:30 p.m.
developing a relationship with our lifelong companion, breath. EIGHT LIMBS AND DAILY LIFE: 4–5:30 p.m.
class will discuss the Eight Limbs of Ashtanga Yoga and explore their applications within our day-to- day life. What is the use of Philosophy without real application? We may memorize quotations or stanzas from great writings but unless we can apply them within our life they are merely words spoken rather than knowledge realized. Doors will open 20 minutes before the start of the day's first session. If you are staying for multiple sessions you may leave your mat and rug in the studio; however, please plan to take along all other belongings. The studio has 2 bathrooms as well as separate changing rooms in the basement. There are no showers. If you plan to bike, bring a strong bike lock! The Max Light Rail system makes travel downtown pretty easy. The Blue and Red lines pass directly in front of the studio, while other lines have stops within walking distance.